Marvin Sonsona vs Wilfredo Vazquez Jr. II will be held at the Madison Square Garden, New York, New York on June 7, 2014 for the NABF featherweight title. In 2010, Marvin Sonsona and Wilfredo Vazquez fought for the vacant WBO super bantamweight title where Marvin lost via TKO in round no. 4. Marvin was too exhausted that time, coaches said that Marvin was too lazy working out in gym, coming late in training and that's maybe the main reason why he loss the fight. 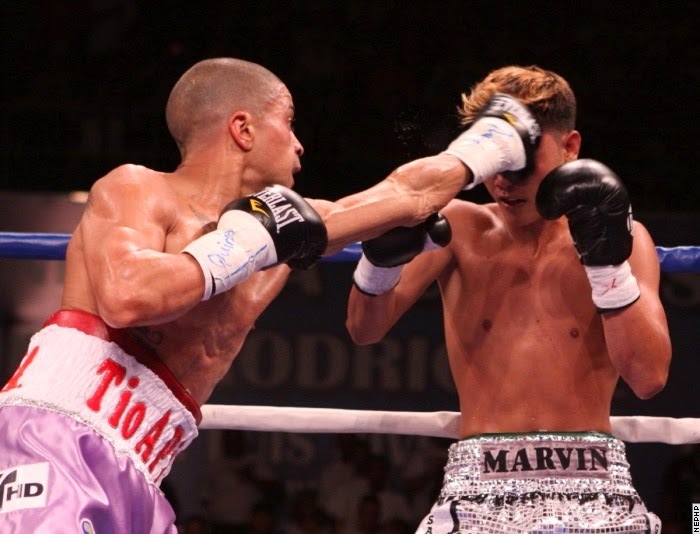 But Marvin now realize the important of boxing because he knows that he needs to work hard and to be a champion again. Last February 2014 Marvin Sonsona won his WBO International featherweight title when he defeated the Japanese boxer Akifumi Shimoda in a devastating round 3 knockout, this knockout is a candidate for 2014 knockout of the year. Marvin Sonsona Wilfredo Vazquez Jr.
Marvin will only win by knockout. Then if this fight goes up to 12 rounds, surely Wilfredo Vazquez will win this by a Unanimous Decision.